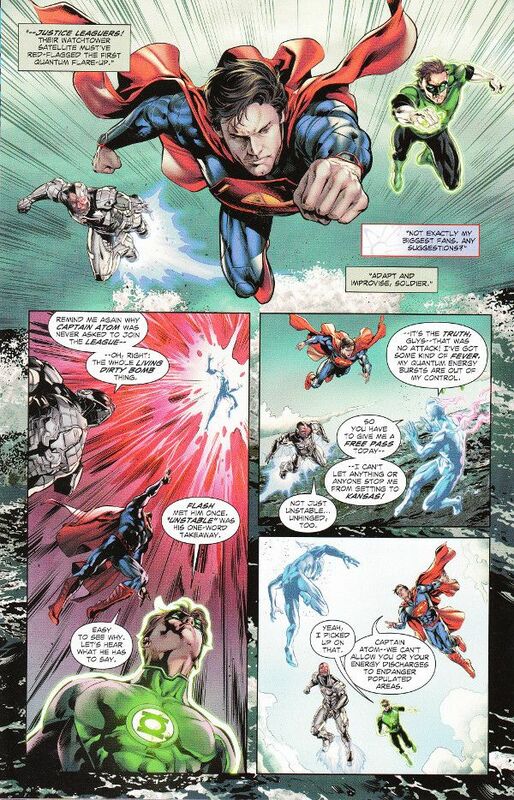 Transformed into a human dynamo, Captain Nathaniel Adam has tried to use his powers to do good as Captain Atom. The same powers that make him capable of amazing feats, however, also make him incredibly dangerous and a recent bout of illness has made him more unstable than ever! If you aren't already a fan of Captain Atom, The Fall And Rise of Captain Atom is unlikely to transmute you into one. 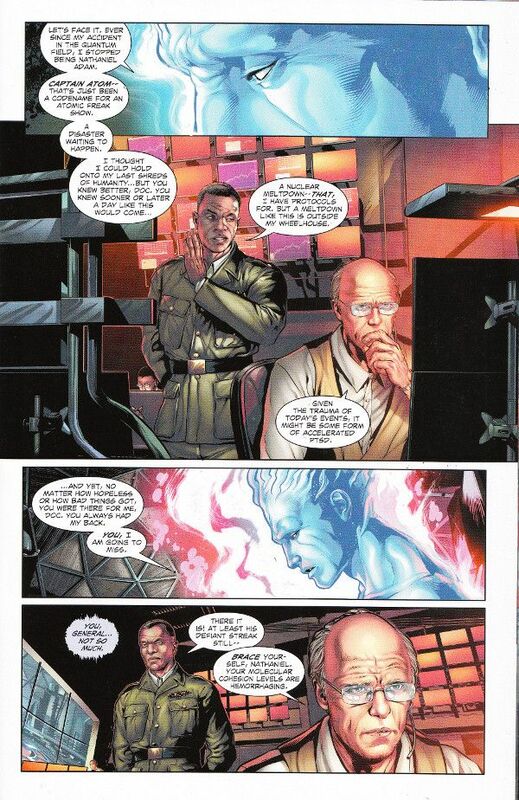 The script by Cary Bates tells us nothing about Captain Atom's origins beyond him being the result of an accident. It tells us even less about him as a person. There's no characterization beyond Captain Atom being worried about hurting people by accident and some minor worries about dying. While this does inspire sympathy, it does not inspire interest. The out-of-sequence nature of the story doesn't help matters and it doesn't seem like Bates and co-plotter Greg Wiseman had any revolutionary ideas for the franchise beyond changing General Wade Eiling into a black man. That being said, the art for this issue is outstanding. Will Conrad showcases a detailed, intricate style throughout. The colors by Ivan Nunes are fantastic, leaving the finished art looking like it was painted rather than sketched and then colored in.